The holidays are not only for people any more. 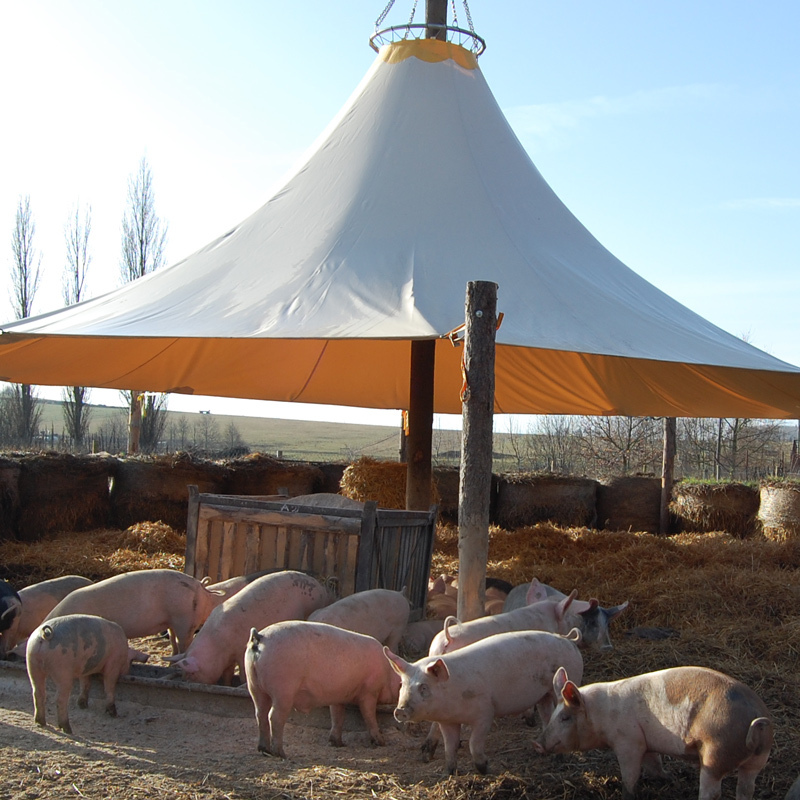 To be off in the tent is available for pigs now. For some days you can see near town Jihlava unusual thing. The local farmer put his pigs into the tent. "When we can go for holiday, why shouldn't go our pigs“ says the farmer Josef Sklenar with a smile. He tries on his organic farm a very new thing in Czech agriculture – to keep his pigs under the free sky. The animals live outside on the pasture and they can hide in a large tent. "We got inspired in Denmark, where they use these tents. The tent is still provisory, but we will search for the original and special“ says Josef. 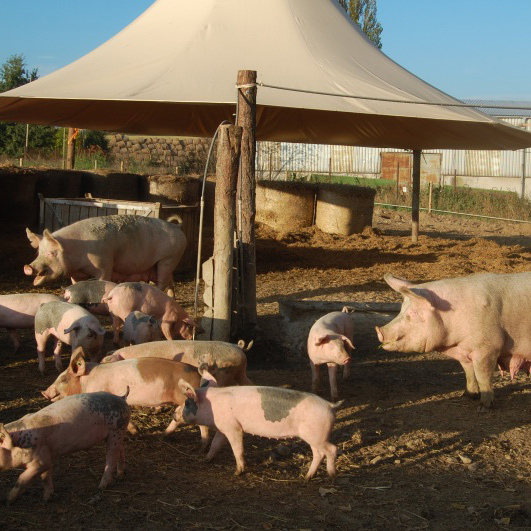 The experiment involves now around fifty piglets, five sows and one boar, but in the next years there should be maybe five more tents. "They will be there from spring till winter“ adds Josef. He says it will be the part of research program. The conclusion should be, that the meat from free range outside kept pigs should be better, than the meat from conventional farm. The summer holidays are also good for the pigs themselves, they grow fast and gain around half a kilogram per day. They have access to lots of organic feed, mud bath and they even can nuzzle or dig in the ground. "The piglets got something extra. They have access to the orchard, where they can pick up the falling down apples“, says Josef. Their presence is good also for the trees, where they aerate the soil. Still these unusally relaxing pigs awaits the traditional end. However, the farmer sees some other big advantages. "The pigs in the tent should lower some costs“ says Josef. But the main advantage is that the pigs should have much better meat, than their relatives from the conventional farms. It can occur, that the steaks from the camping pigs will be much more tasty.